Show Racism the Red Card is delighted to announce two new patrons. 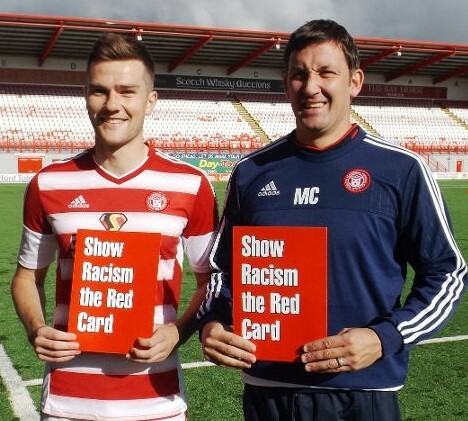 Show Racism the Red Card is delighted to announce two new patrons in Scotland. Hamilton Academical FC manager Martin Canning and team Captain Michael Devlin have agreed to be patrons this season to help raise the profile of the campaign in Scotland. Martin and Michael will be roles model for young people in challenging racism and inequality. Peterhead FC have been strong supporters of the campaign for many years and we appreciate them helping promote our work in the future.